My 6 year old son has been obsessed with bees lately. Not sure what has brought this on, but you never know how a 6 year old mind works. Any rate, he brought home from the school library the other day two books on bees and a Moody Bible Institute DVD titled City of the Bees. Super excited about it, he insisted we watch it THAT night. So, once all the homework was done, I put in the DVD. Now, mind you, this DVD was more on the level of a 5th grader but who was I to squash his curious mind. While watching the movie, my 5 year old son kept asking my 6 year old son a gazillion questions about the bees. My 6 year old son answered them in only the way a 6 year old can. My 7 year old daughter sat on the couch with the look of utter boredom on her face. The next morning at breakfast we talked about the movie on bees that they watched. Below is how the conversation played out. 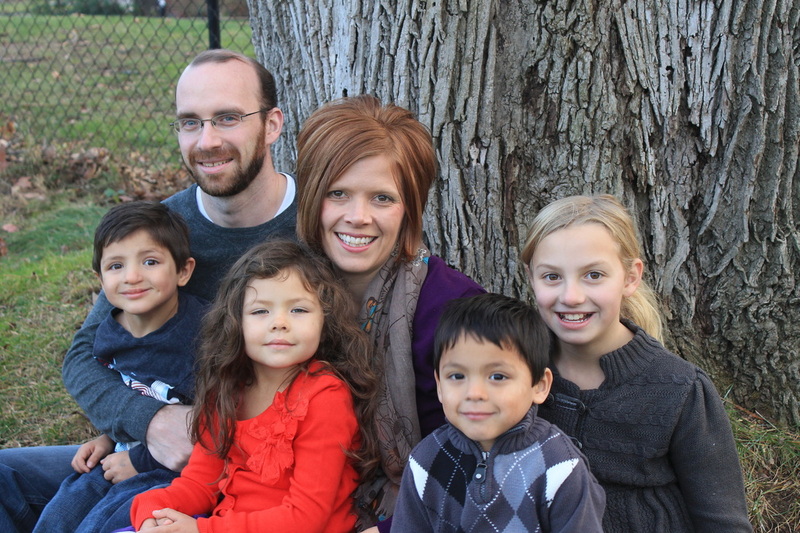 Now we have been working on Philippians 2:14 this past week as a family. The kids have been doing way to much “murmuring and disputings” for this mom’s taste the last two weeks! 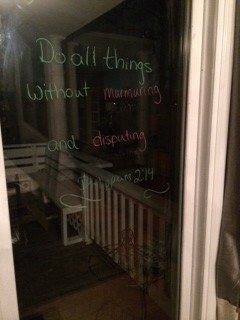 Use Window Markers or dry erase markers to write on windows. Can we say “teaching moment”!!!! Ok. So maybe watching the DVD on bees was not MY first choice on spending 27 minutes with my kids before bed. However, the lessons they learned from an unlikely source were invaluable. My 6 year old is now insisting that dad watch it with us this Friday night. Popcorn will be handy for this encore presentation.